His Excellency Brandao – Minister of Transports of the Republic of Angola contacted our Embassy in Luanda and requested the intervention of the FEMERAID Medical Rescue Team – Angola in such a situation, when the patient got critically ill in the mountains. 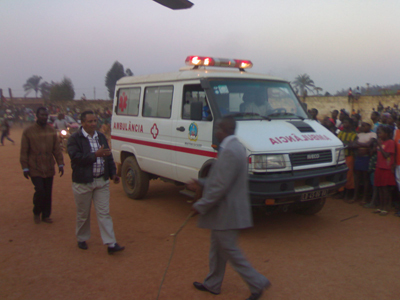 Reaching the area and transport the patient from Gabela to Luanda by an ambulance car would have taken 2 days. Our Team had all the necessary medical equipment for the rescue operation and the Angolan National Petrol Company SONANGOL placed one of its Helicopters at our service, so the task was done quickly and successfully. This operation was a great example of collaboration and solidarity involving our Embassy in Luanda, the FEMERAID Medical Rescue Team – Angola, the Government of the Republic of Angola and the SONANGOL Petrol Company. It was the 7th internal medical flight evacuation of a critical patient to Luanda this year, when FEMERAID Medical Rescue Team – Angola was asked for help in an extraordinary situation by the Minister of Transports of Angola. FEMERAID International Emergency Medical Rescue was established by the “Sovereign Order of Saint John of Jerusalem, Knights of Malta, Federation of the Autonomous Priories” and its Angolan Team serves in this African country. It is a special gladness for us that our Rescue Team could stabilise the state of health of all our patients, saving lives again, and fortunately we have not lost any patients yet! FEMERAID Medical Rescue Team – Angola has been created recently, and the team is fully equipped and operational with the leadership of Sir Nuno Cosmelli – Knight Commander. The Rescue Team operates in collaboration with the Angolan Government and upon request gives emergency assistance not only in Angola but also in all countries of the African Continent in case of catastrophes and others, since the team can be ready for intervention in a few hours. FEMERAID Medical Rescue Team – Angola, besides its rescue operations, holds medical trainings and courses regularly for local doctors, nurses and law people on life support. 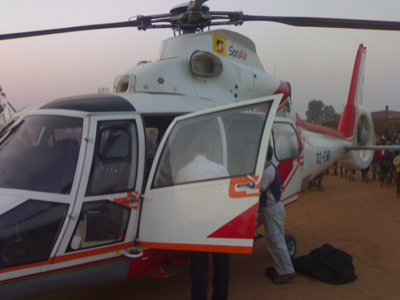 The Air Medical Evacuation of critical patients in Angola is a service that is only provided by private companies and has a very high cost, so is not affordable by the population in general. The activities of the Rescue Team is remarkable because mostly they give assistance to such people – as in the situation mentioned above – who need special medical life support in extraordinary circumstances, but are badly off and can not afford having such an extra service. 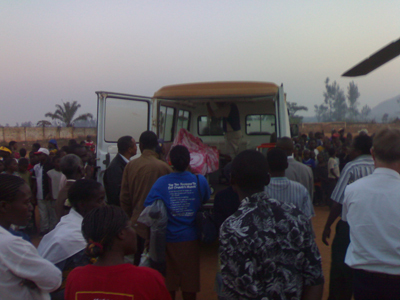 Therefore our Knight Order gives all medical assistance and support on humanitarian basis. The following fact also certifies the internationality of our activities, i.e. the Hungarian Grand Priory of the “Sovereign Order of Saint John of Jerusalem, Knights of Malta, Federation of the Autonomous Priories” will dispatch in the forthcoming days a reanimation device (CPR, defibrillator), numerous field-beds and other life-saver equipment in order to support the work of the FEMERAID Medical Rescue Team – Angola. Our goal is to have the FEMERAID International Emergency Medical Rescue as a powerful, effective and well-known organisation, so to help people in need under the umbrella and thousand years of intellectuality of Knights of Malta, since our Order came into existence with this noble duty a long time ago.